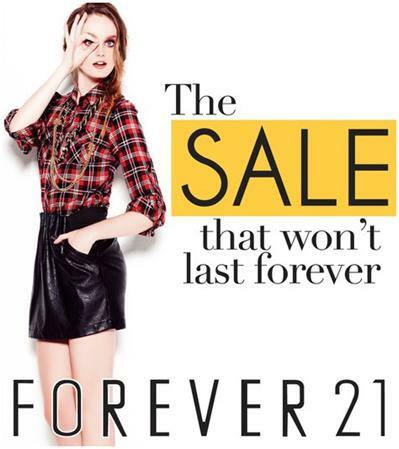 Don't forget the Forever 21 Philippines Sale tomorrow! 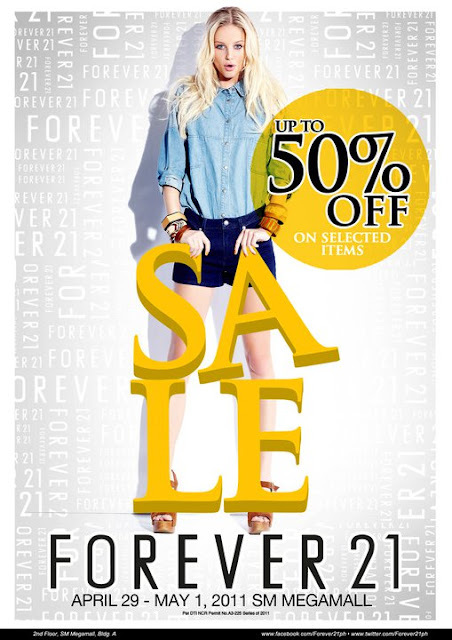 Forever 21 on Sale from April 29 to May 1, 2011. Sale happening only on SM Megamall, during the 3-Day Mega Sale. Mall hours have been extended, now from 10:00am to 11:00pm. 10% off when you present your SMAC, BDO Rewards and Forever 21 credit card. 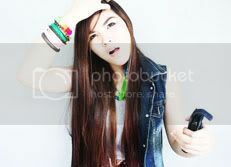 5% rebate on all Forever 21, BDO and AMEX credit cards with a minimum spent of P5,000. 0% interest on 3 months installment for a minimum of P5,000 single receipt purchase. 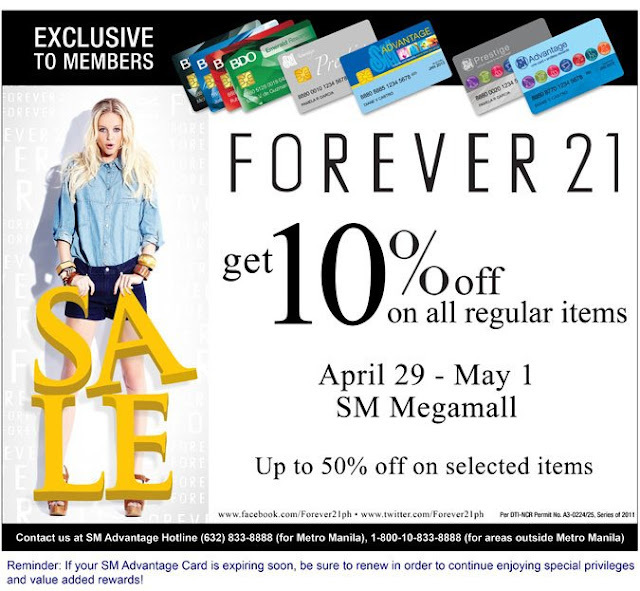 For more information, please call Forever 21 at 477-2733. Bring your SMAC/ BDO Rewards/ Prestige card with you this weekend.